Bill O'Reilly's "Killing" franchise has been so successful that it's spawned film adaptations and related titles. 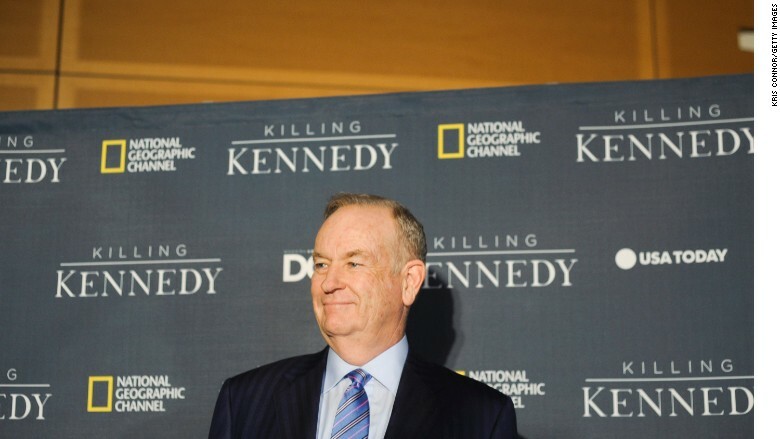 A film version of Bill O'Reilly's "Killing Jesus" will premiere on television this week, marking the third time National Geographic Channel has adapted one of the Fox News host's historical books into a made-for-TV movie. The film -- which will debut on Palm Sunday, March 29 -- is a testament to the success of O'Reilly's "Killing" franchise, which has included "Lincoln's Last Days" and "The Last Days of Jesus." 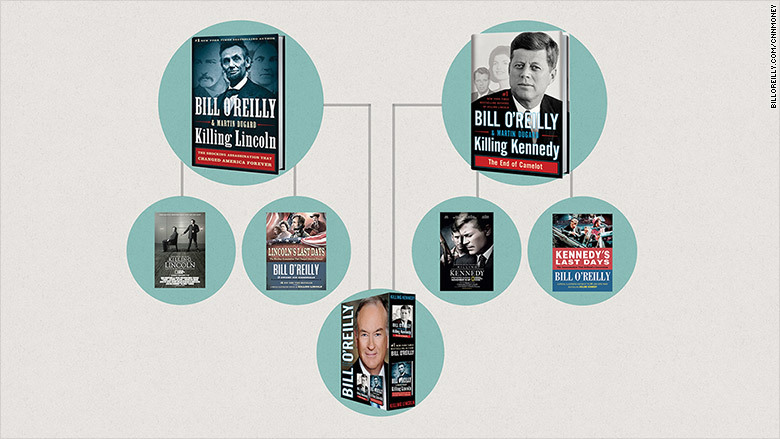 All told, O'Reilly's history series has sold 6.8 million books, according to Nielsen BookScan US. O'Reilly began the series in 2011 with "Killing Lincoln." Since then the top-rated cable news host has churned out a historical thriller every year with co-author Martin Dugard. The Lincoln book was followed by 2012's "Killing Kennedy." In 2013, O'Reilly offered up "Killing Jesus." Last year, he looked at the mysterious death of one of the country's most famous generals in "Killing Patton." O'Reilly has said he is not surprised by the success of his history books. "I always felt that history is fascinating, but the books are boring, and if you can write exciting books you would sell a lot of copies and have movies made of them," O'Reilly said in a radio interview last year. "And that's all come true." National Geographic has partnered with O'Reilly before. In 2013, the channel aired adaptations of "Killing Lincoln" and "Killing Kennedy," O'Reilly's first two books in the franchise. Each of the National Geographic adaptations have had big Hollywood names attached. The Lincoln movie was narrated by Tom Hanks, while the Kennedy film starred Rob Lowe in the role of the slain 35th president. Ridley Scott is an executive producer of this month's "Killing Jesus" adaptation. "Killing Kennedy" figured prominently in the recent controversy surrounding O'Reilly's questionable accounts of his reporting assignments. In the book, O'Reilly claimed to have been at the scene of a suicide involving a friend of Lee Harvey Oswald's -- a claim that seems to be contradicted by audio evidence. The questionable account didn't seem to alarm Henry Holt and Co., the imprint that publishes the "Killing" series. In a statement, Henry Holt said "we fully stand behind Bill O'Reilly." Fox News also stood with O'Reilly amid the controversy. Next month, the cable channel will premiere a 10-week history series, titled "Legends & Lies," for which O'Reilly is the executive producer. Well before his move into history, O'Reilly enjoyed plenty of success as an author. His previous books, like 2007's "Culture Warrior" and 2010's "Pinheads and Patriots," have cracked a litany of bestseller lists. Bill O'Reilly in 2013, at the premiere of the National Geographic Channel's 'Killing Kennedy' - the most successful installment of his 'Killing' franchise.